The debate over the efficiency of Russia's defense industry is escalating. It has been building for the past few years but culminated last week when Alexander Postnikov, head of the Ground Forces, criticized the quality of Russia's most modern tank, the T-90S. By saying that the German Leopard tank is both better and cheaper than the T-90, Postnikov clearly intended to put pressure on defense contractors to improve their quality and productivity. But being inexperienced in the art of public rhetoric, his attempt came off a bit clumsily. Soon after, we heard ominous warnings from President Dmitry Medvedev of reprisals against defense industry chiefs if they failed to deliver on orders. Medvedev immediately backed up his words by firing Nikolai Kalistratov, head of Sevmash, the only Russian company producing advanced, multipurpose nuclear submarines. Medvedev's strong steps are also noteworthy given the fact that the defense industry has always been considered Prime Minister Vladimir Putin's exclusive domain. 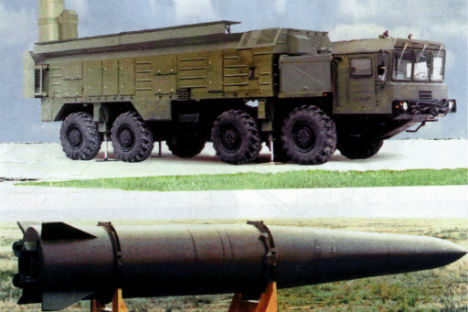 For the first 15 years or so of the post-Soviet era, the defense industry focused on export markets and became a global leader in many areas. For example, Russia leads in the overall tonnage of ships sold for export and the number of submarines and tanks delivered to foreign buyers, including the T-90 tank that Postnikov dislikes so much. In the heavy fighter segment, Sukhoi has sold more combat aircraft — thanks primarily to Chinese and Indian orders for its Su-30MK model — than any other aircraft builder except Boeing. What's more, most of Russia's defense research and development was conducted for orders from foreign clients, primarily India. In fact, Russia developed its best-selling Su-30MKI combat aircraft and Talwar-class frigates based on Indian specifications and requirements. Throughout this period, domestic orders for conventional weapons were practically nonexistent. Most of the resources allocated for developing domestic military programs were spent on the country's strategic forces to maintain and support its nuclear deterrent and for maintenance and research work. Even in 2007, when domestic orders nominally topped the value of export orders, the mass production of conventional weapons continued to supply mostly foreign customers. Meanwhile, the conventional weapons sector intended for the domestic market continued to deteriorate. Both the Defense Ministry and military contractors only went through the motions for the large part, with the government pretending to place orders that domestic manufacturers pretended to fulfill. Defense Ministry orders were delayed for decades, and even in those cases when they were nominally fulfilled they rarely met the quality standards and specifications of the orders. But the increased public criticism from military brass and political leaders over the past few years has led to an important paradigm shift in the defense industry, resulting in an improvement in the domestic defense manufacturing sector. The turning point came after the military's poor performance in the August 2008 Russia-Georgia war. In the past two years, the Defense Ministry has placed large-scale serial orders for conventional weapons, including 130 new combat aircraft and more than 100 helicopters. The Navy has also stepped in with unprecedented orders. Overall, the Defense Ministry plans to place orders worth more than 19 trillion rubles ($670 billion) over the next 10 years, hoping thereby to bring military hardware up to date after a 15-year lapse in government demand for modern weaponry. The new batch of orders includes eight Borei-class nuclear-powered ballistic missile submarines, 10 Iskander missile brigades, 600 new aircraft, 1,000 helicopters, 28 battalions of the latest S-400 air-defense missile systems and 100 warships. As part of Defense Minister Anatoly Serdyukov's serious and deep reforms, he is trying to secure weapons that can truly defend the country. At the same time, he is reluctant to take responsibility for reorganizing a defense industry that has suffered from a severe lack of investment and development for the last 15 years. This has sparked the war of words over the shortcomings of weapons systems and the growing tendency by the top brass to purchase military goods from foreign manufacturers, such as the French Mistral-class helicopter carriers. Russia's military-industrial complex in former U.S. President Dwight Eisenhower's meaning of the phrase is now divided into its two constituent parts, and they are at Cold War-style loggerheads with each other. Ideally, the work of coordinating the military with the manufacturing sector should be carried out by the government's military-industrial commission, which is headed by Deputy Prime Minister Sergei Ivanov. But this commission never received the necessary authority and has not been able to fulfill its primary function: improving how military orders are fulfilled. Both the Defense Ministry and the military contractors must find a new model and modus operandi, but that will be possible only when the government learns to manage the relevant ministries effectively and appoints far more competent deputy ministers to oversee the process.